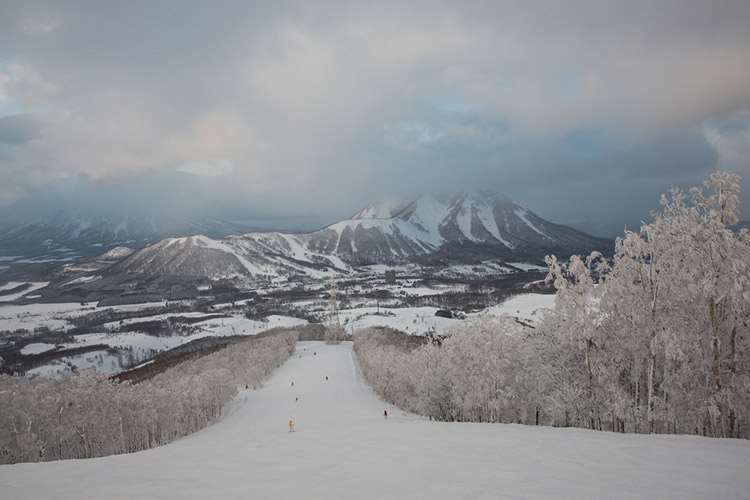 Skiing in Rusutsu is another of Japan's hidden gems, along with the nearby resort of Niseko. Renowned for it's huge powder dumps and a hotel that features a Japanese style fun fair. Rusutsu is an incredible destination for both the skiing and the vibrant Japanese culture. 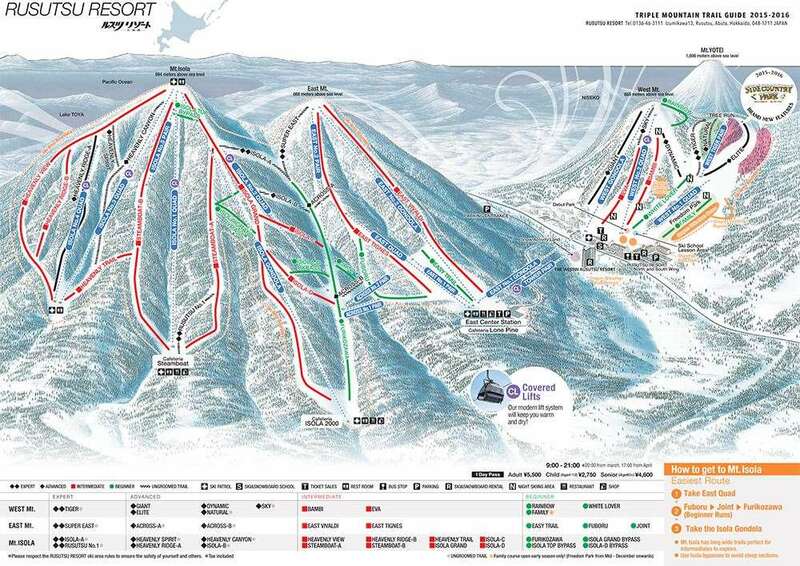 Rusutsu is a compact and purpose build ski resort,surrounded by three skiable mountains, offering 1900 vertical feet and 4200 acres of skiing in Japan's finest snow. The resort is 40 minutes drive from Niseko, and like the nearby resort is dominated by the extinct volcano, Mount Youtei. The resort is centred around it's only hotel The Rusutsu Resort, and has a good selection of restaurants, shops and bars - including a karaoke room. The skiing in Rusutsu is superb and boasts some of Japan's dryest powder. The snow record is also impressive with an average of between 12-14m snowfall per season. Though a low resort the surrounding terrrain and close proximity to the sea means the conditions are fantastic throughout the season. With 42km's of piste, 23 lifts and acres of backcountry Rusustu is a great resort whether a part of a single trip or multi-destination holiday. There is night skiing until 9pm.